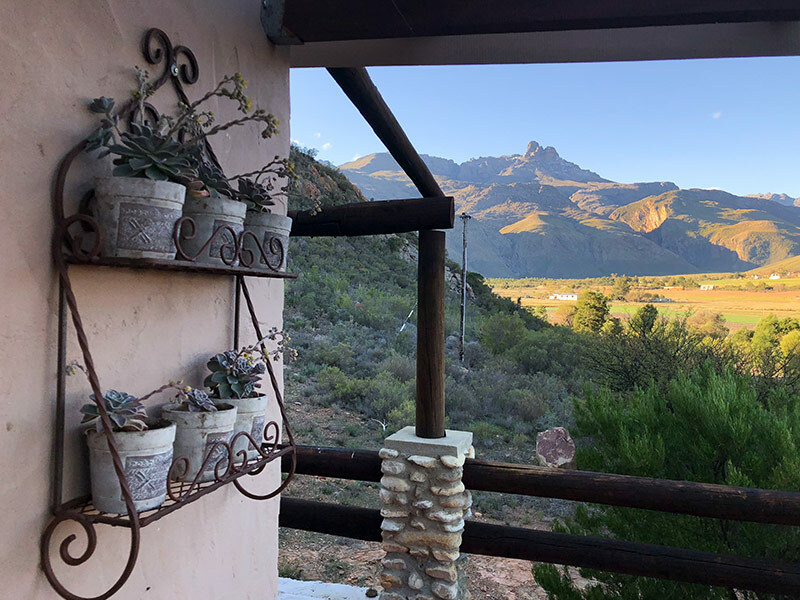 The Chenin Blanc Cottage is situated on an slight incline of one of the mountains on the farm and therefore have the most awesome views across the Valley, Swartberg Mountain’s and of Towerkop. 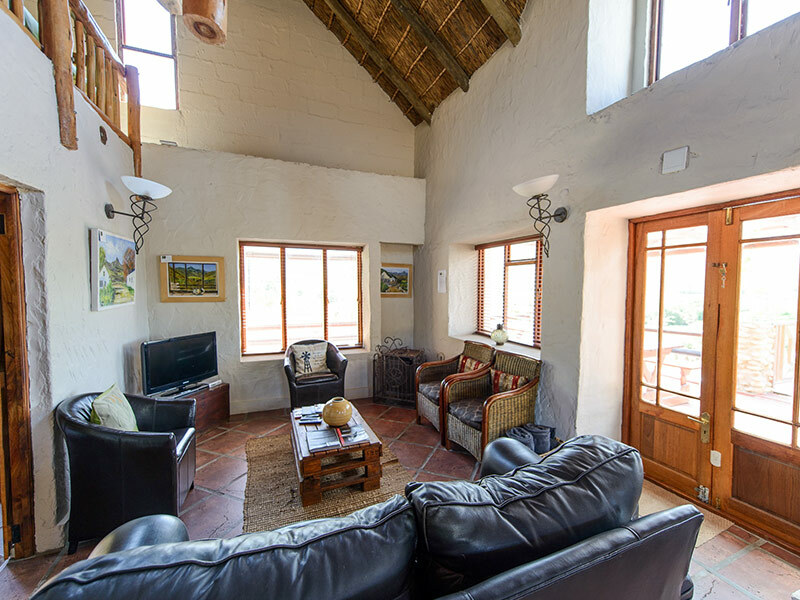 The Cottage can accommodate up to 8 guests and have two bedrooms (1 with a Double bed and 1 with 2 single beds) as well as a loft area with 4 single beds. 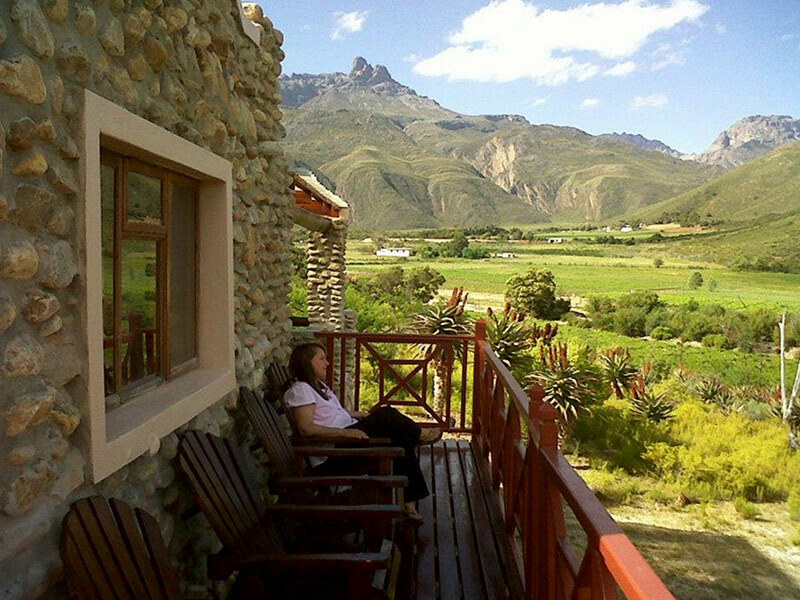 The Cottage have 2 bathrooms – en-suite to the bedrooms. The Kitchen is fully equipped with a gas stove, microwave oven and fridge freezer, the living room have a HDTV with Dstv (Premium Bouquet) and a DVD Player. For the cold winter evenings the Cottage have a build in stove to keep you warm and cozy. 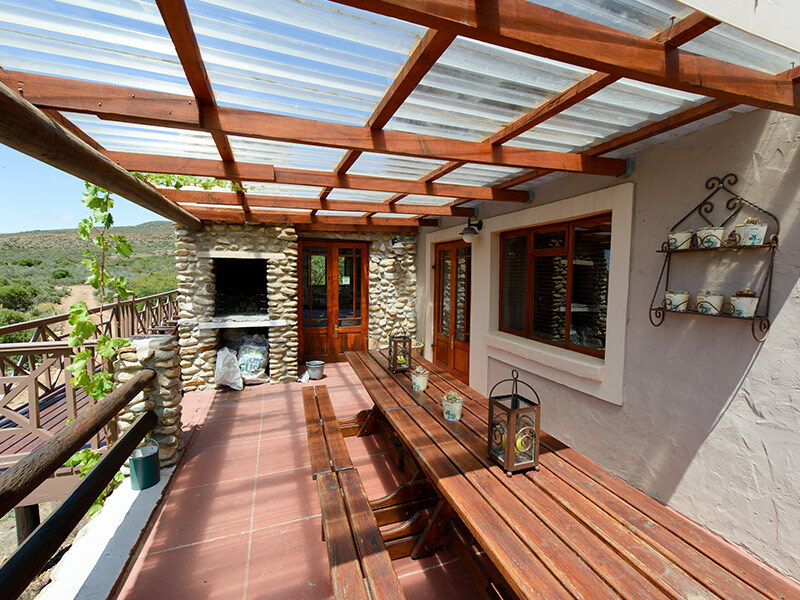 The deck area have a build in braai and near the cottage is a nice Boma braai area against the mountain side.